We all appreciate the sacrifices that our men and women in uniform make every day for our country. To honor the members of the U.S. Armed Forces, Florida's theme parks and attractions offer free and discounted admissions so that they can spend a carefree day with their families. First responders, including military, fire, and police personnel may purchase discounted tickets at the box office of the popular holiday event, Gaylord Palms' ICE! Prices at the box office with proper identification will be $22.99 for adults (13+) and $8.99 for children (ages 4-12). Children age 3 and under are admitted free. There is a charge for parking. Active-duty U.S. military, activated or drilling reservist, or National Guardsman and up to three of their direct dependents are welcomed to Adventure Island in Tampa with a one-day free ticket under the Waves of Honor program offered by SeaWorld Parks. The service member is required to verify his/her active-duty status online and provide official military identification. Spouses of active-duty members can log-in using the active member's account to receive their benefits. The Waves of Honor program deems ineligible the following: inactive, standby and retired reserve members, military retirees, U.S. Merchant Marine and civilian Department of Defense workers. One complimentary admission (and as many as three direct dependents admission) is offered annually to any U.S. active-duty military, activated or drilling reservist, or National Guardsman to Busch Gardens Tampa's Waves of Honor program. The active duty service member must verify active duty status online and provide military ID. Spouses of active duty members should log-in using that member's account. Disney World is saluting U.S. military personnel with 4-day deeply-discounted promotional tickets good for admission on any four days. The Park Hopper Option is included and you can add the Water Park Fun & More option for just $30 more, plus tax. You may come and go as you please through all four theme parks each of the four days of your visit with the Park Hopper Option. This offer is available to active or retired members of the U.S. Military or their spouses, including the National Guard, Reservists, and the U.S. Coast Guard. Valid military ID will be required for purchase. Tickets may be purchased at participating U.S. Military sales outlets by Eligible Service Members. The actual prices charged at the individual U.S. Military base ticket offices may be less than the prices set forth in this offer highlights. The same person must use each Disney Military Promotional Ticket on any and all days. 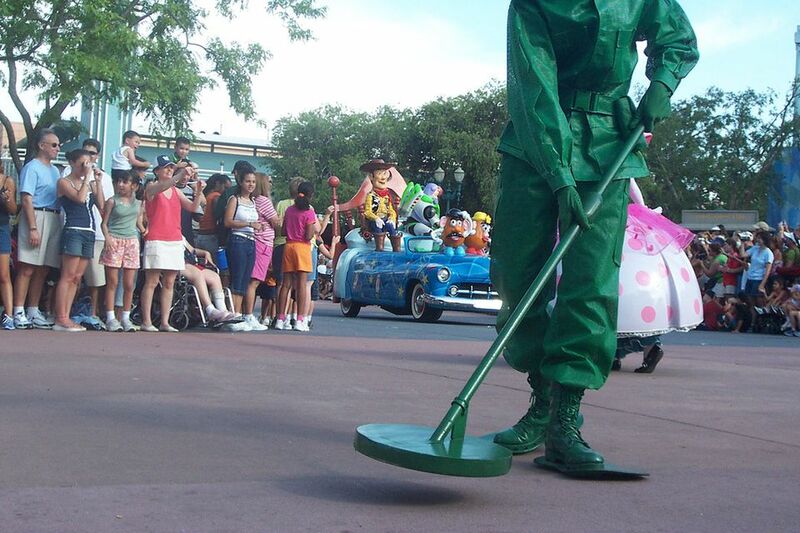 Of course, Disney World operates the 586-room Shades of Green Resort Hotel as an Armed Forces Recreation Center for the exclusive use of military members and their families. For reservations call 407-939-5277. All active-duty military personnel will receive one free single-day admission to LEGOLAND Florida and LEGOLAND Water Park during 2018. Present your military identification at the LEGOLAND Florida ticket window. Additional dependents and family members, as well as retired military members, receive a 10% discount on single day admissions; however, tickets for dependents and retired military members can be pre-purchased at a greater discount at Information Tickets and Tours (ITT) at your Morale Welfare and Recreation (MWR). Any U.S. active duty military, activated or drilling reservist or National Guardsman is permitted one free admission (and as many as three direct dependents admission) to SeaWorld Orlando per year under the Waves of Honor program. The active duty service member must provide military identification after verifying active duty status online. Spouses must log-in using the active duty member's account. Those ineligible for this program are inactive, standby, and retired reserve members, military retirees, U.S. Merchant Marine and civilian Department of Defense workers. Leisure and Travel offices at military bases around the country offer active duty, retired military and Department of Defense personnel specially-priced tickets to Universal Orlando theme parks. Ticket pricing is determined by the local Leisure Travel offices. Also, active duty military with valid military identification can receive a discount when purchasing multi-day tickets at the front gate ticket windows at Universal Orlando Resort. Universal Orlando Resort also offers on-site hotel vacation packages. The packages are booked with 3-night hotel accommodations, a one-day park-to-park ticket with two-days FREE, early park admission to The Wizarding World of Harry Potter one hour before the theme park opens, and access to select live entertainment venues at Universal CityWalk. To book your vacation, call 1-888-340-4614 or visit your military base ticket office (ITT/LTS).